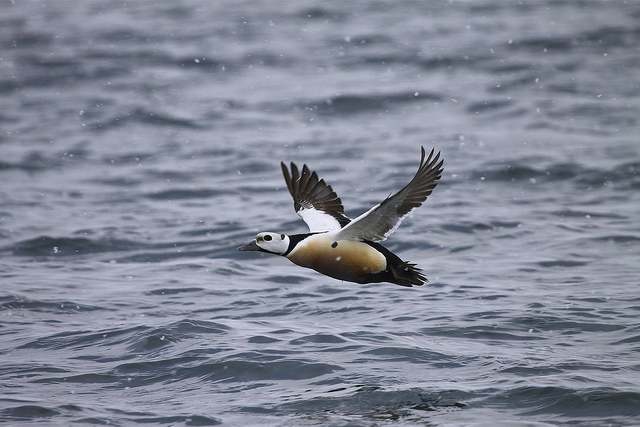 Steller's Eiders are nesting on the tundra's of the Arctic and spend the winter on lower latitudes. On the Western European coasts they are very rare vagrants. 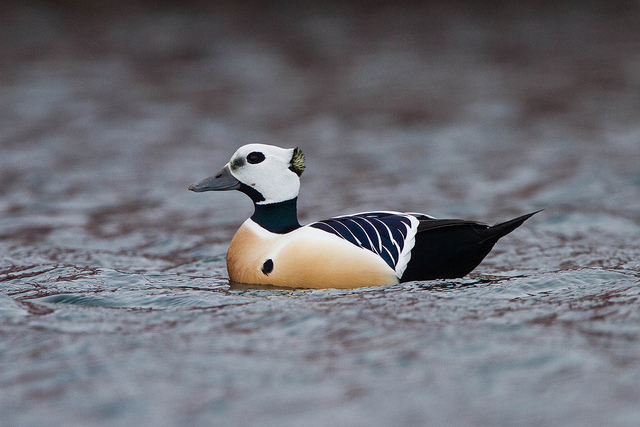 The male has a white head with a striking black neck.